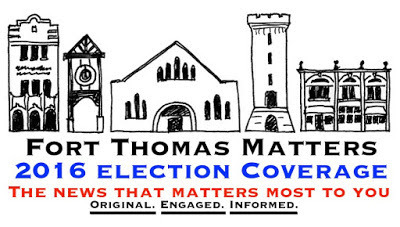 We have been covering the upcoming November election on Fort Thomas Matters since January of this year. That's a long time, but it's an important election and an important job and as the media outlet that covers Fort Thomas the most, we take this responsibility very seriously. You can read our coverage of the debates, read the op-eds of the council and listen to all of our podcasts here or if you're at your desktop, simply click the "Election 2016" tab above. This podcast will take a break from the serious nature of debate. We went through all nine candidates and gave them two minutes to answer questions that weren't serious or political in nature because, hey, it was fun.